This are some of the early gifts that was given to us for our soon to be new member of the family. 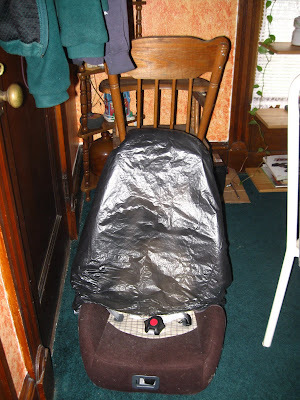 Isn't that soo sweet, one of my Mahal's co-worker sent this high chair and the carseat at home while me and Mahal were at my mother in law's house on Labor day. It was fascinating that some of his friends are also excited for his incoming baby. Who doesn't? Everyone is just as excited as we are. Soon, there will be more and more gifts to come in the mail. palangga jud kaau mo day.